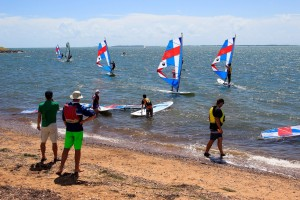 The RQYS Sailing Academy offers several windsurfing programs spanning learning to windsurfing (beginner and intermediate) courses, social sailing and squad coaching. The Start Windsurfing (Level 1) Course will consist of 5 sessions over 5 weeks (or 5 consecutive days over the School Holidays) and will cover everything from sailing theory, wind awareness, board handling, rigging, launching and retrieving gear, self-rescue, plus all the basic sailing techniques required to progress a complete novice to a level where they can sail in and out and up and downwind confidently in up to 12 knots of wind. 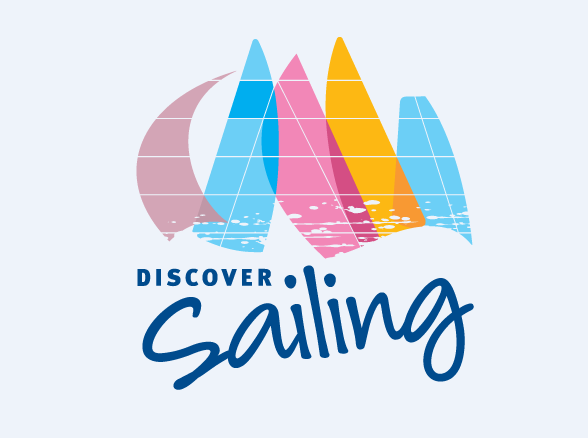 The course is an Australian Sailing accredited course and participants will be issued with a log book and certificate upon completion. The course will be run by 2 professional instructors with a maximum of 12 participants made up of both kids and adults. All gear is provided and is modern learner friendly gear. In the last session, participants will join the Club Windsurfing group to put their news skills to use. Following completion of the course all participants will be invited to attend Club Windsurfing on a regular basis. Recommended age 12+. Private lessons are recommended for younger participants. What to bring: Hat, sun protection, and enclosed footwear is a must. Club Windsurfing encourages independent windsurfers (Level 1 competency: able to rig, launch, sail out and return to shore) to improve on their skills and continue to participate on a regular basis. It is an opportunity to get hours on the water in a safe and fun environment. Club windsurfing is a weekly initiative run by windsurfing volunteers who are knowledgeable and have racing experience in many different disciplines of the sport, both socially and at an international level. There is a wealth of knowledge and experience to gain by coming down and talking with the volunteers during these sessions. When: 9am-12pm every Saturday during the sailing season. Cost: Free for RQYS members. Non-members are required to see reception and purchase a day membership. What to bring: Windsurfing equipment, hat, sun protection and enclosed footwear. Private lessons for both learners and those with advancing windsurfing ability are available and can be organised upon request. Please contact sailingacademy@rqys.com.au to inquire and arrange private windsurfing lessons.